Drew was born and raised in Alliance, Ohio. He grew up playing sports such as Football, Basketball, Baseball, & Golf. Drew spent his summers on the wonderful South Bass Island, which most know as Put-In-Bay, OH. Drew like many yachting families, started boating in a car seat (lets be real it was a bassinet strapped down to the salon floor). Before he could see over the helm he was already “running” boats. Before graduating from Alliance High School, Drew decided to follow another family tradition which was to serve this great nation we all call home. In April 2002 Drew joined the United States Army Reserve. In 2006 Drew was called to serve in OIF III (Operation Iraqi Freedom). After a successful tour of duty, Drew finished out his military career and was honorably discharged in 2010. In 2009 Drew, with his wife and step kids, moved to Kent Island to become a live aboard on their Hatteras “Almost Heaven”. After 5 years of living on the boat, Drew and his family grew out of the live aboard life style. From 2009 to present Drew has explored the Chesapeake Bay and all of her surrounding tributaries, learning how to catch the Maryland “blue crab”, to the only place in the world where we call a striped bass a “rock fish”. 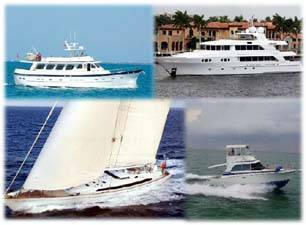 Drew and his family also enjoy water sports (with now 5 kids), to the yachting marina to marina life style. Drew and his wife are boat owners at Piney Narrows Yacht Haven, Boat US members, members of the Chesapeake Bay Maritime Museum, members of the Chesapeake Bay Environmental Center, social members of the Kent Island Yacht Club, members of Prospect Bay Country Club, members of the American Legion, members of the VFW, member of the Moose Lodge, and members of Wye Bible Church. Drew is based in Grasonville, MD on Kent Island and can be reached any time at 410.443.5009 or Drew@curtisstokes.net.